Volvo has started the production of an all new family of four cylinder engine. 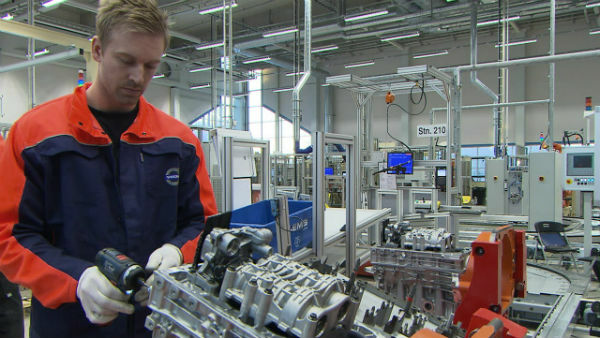 The development and the production of the engine will take place at Volvo Car Group’s engine plant situated in Skovde. The company also claims that this engine will be playing a vital role in the independence of the company. Volvo is concentrating on taking full control of the development and production of the engines and the drivetrains to increase the flexibility and with the ability to manufacture its own specialized engines company will now be enhancing its ability to influence quality. According to the words of the Vice President, Powertrain Engineering at Volvo, Derek Crabb said that this will be marking a new milestone in the Volvo’s history. With the new engine line-up Volvo will be focusing on the two main issues, driving pleasure and fuel economy. This will allow company to enhance the drivability and will mean more customer satisfaction. The cars with the new engine are expected to offer more power and better fuel efficiency with the increased driving satisfaction. The new engine VEA (Volvo Engine Architecture) has been developed by the team of engineers from Sweden. Volvo claims that the new smaller engines are far more capable than the older six cylinder engines. These engines are tuned to offer higher performance than its bigger brothers at the same time it also decreases the fuel consumption than the current four cylinder engines. The new engines will be making its way into the Volvo cars from 2013 and 2015. The first cars that will be hiring the new engines will be the S60, S80, XC60, V60 and V70.